There is just something wonderful about slow-cooked barbecue ribs in the summertime. I've made my fair share of ribs over the years but this is the best method I've ever used. If you like your ribs juicy, tender and fall off the bone then this is the method you need to use. The best part about this is you can make these in the oven, your grill or smoker. My good friend David Farrell from Oldfatguy.ca posted this and as soon as I read it I just knew that I had to try it. 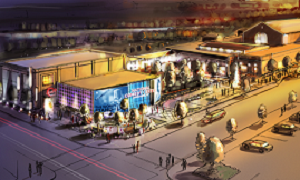 Take some time to stop by his site to see this and so much more. My opinion is that David is the King and a master of the smoker. 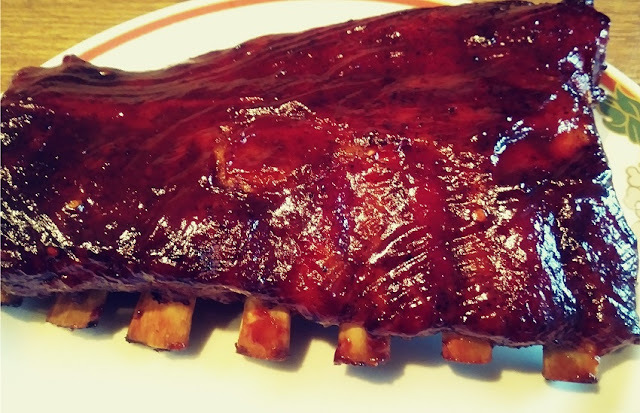 He calls this method 3-2-1 Spareribs click the link to get the instructions you won't be sorry. I followed David's instructions to the letter. These turned out to be the best ribs I've ever had and Fran agrees. These ribs are Blue Ribbon Winners in any rib cook-off. Fran picked up a small rack of back ribs for our local grocery store. It weighed almost 1.5 pounds which were perfect for both of us. I prepared the ribs by removing the silver skin from the back. Then, I lightly rubbed olive oil on both sides. 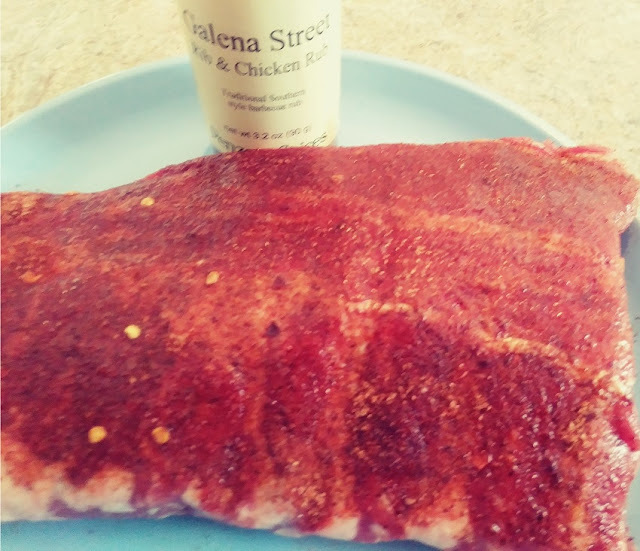 Next, I rubbed Penzeys Galena Street Rib & Chicken Rub generously on both sides. The rub is a Traditional Southern-style barbecue rub and is great on ribs and chicken. 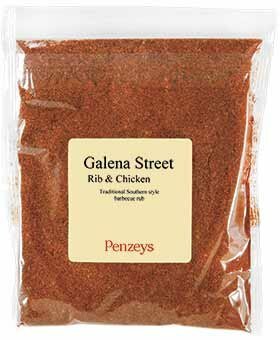 We use many of the Penzeys Spices when we cook but, you can use whatever rub you prefer. I choose to use my grill using indirect heat. Since my grill is not equipped with a thermometer I had to test what setting I needed to maintain David's temperature of 230 degrees. 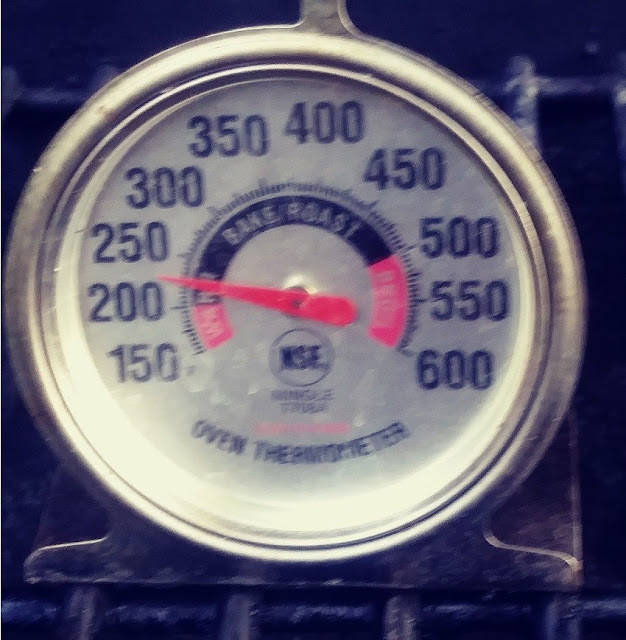 I used this simple oven thermometer and marked my setting on the dial. 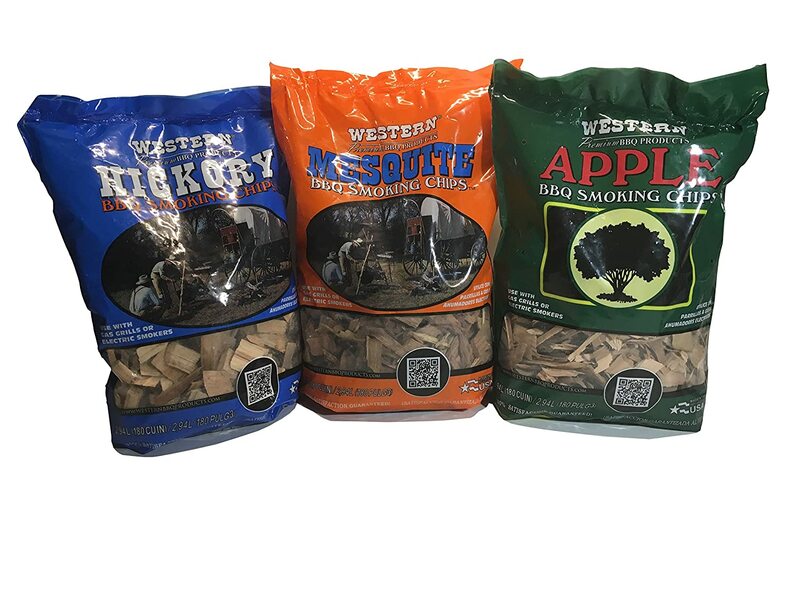 I also wanted to get that smoked flavor so I used Western Style Apple Wood Chips. I used tin foil to make small packets with a hand full of wood chips and poked holes in the top. I placed two packets at a time on the heated side of the grill and changed them out throughout to cooking process. David's method also calls for Apple Juice. 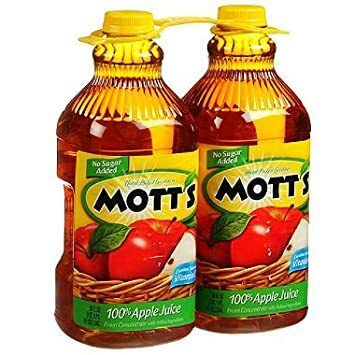 So for this, I used Mott,s 100% Apple Juice. There is much more to this process so Click on Old Fat Guys 3-2-1 Spareribs for all of the instructions. As always thanks for stopping by and I hope you enjoy!! I am about to move near my son, Chris (who has commented on ribs recipes, and yours and David's other recipes a few times) and we definitely plan to try this out on his grill come September. Looks SO good! I love good ribs! These look finger licking good too! And that they were Carlee. David needs an award for this one. Thanks for stopping by. This is exactly what I needed! I just told my husband last week that I wanted us to start cooking our own ribs. Dining out is just too expensive! We discussed buying a new grill and doing just that as soon as the weather starts to cool down a bit. 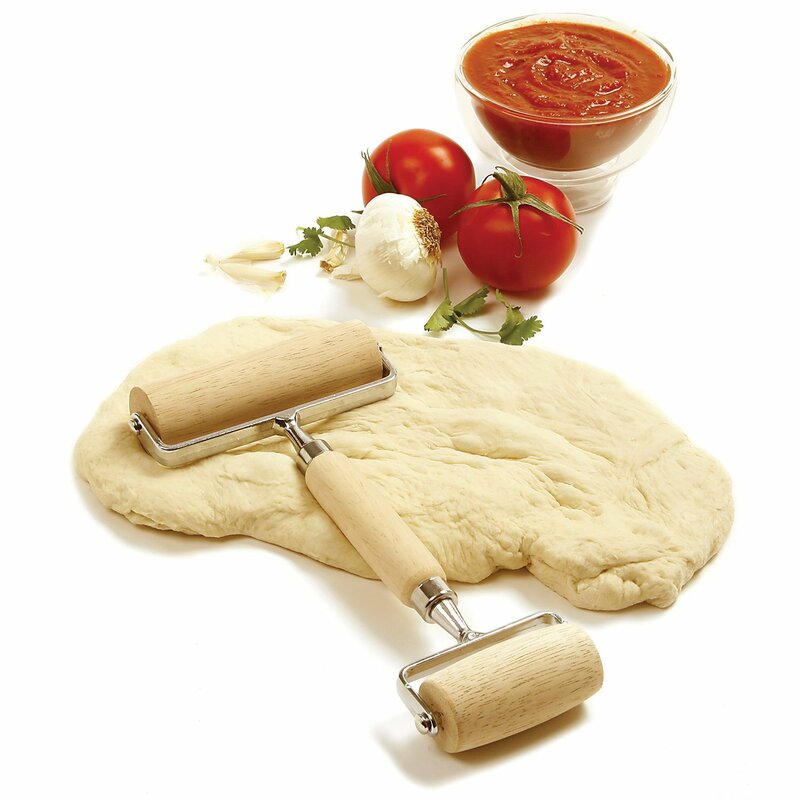 Now, I have a recipe from someone who I know can cook! Thank you Sam and Fran! I never would have thought to use apple juice. These are hands down the best ribs that I've ever made Cynthia. The apple juice was new to me also. As soon as I read David's recipe I knew I had to try them. They take all day to cook but so well worth it. Thanks! This looks super thank you.